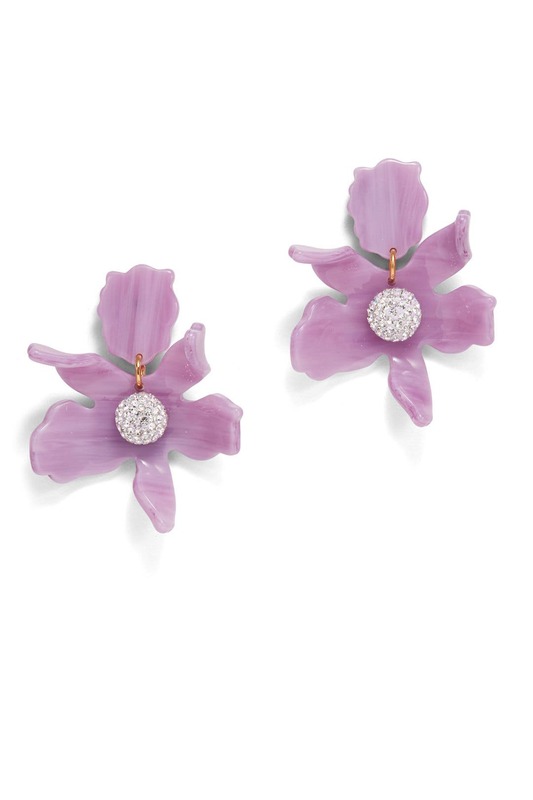 Make a whimsical and feminine statement without any effort in these sculptural floral earrings from Lele Sadoughi. Also available in Cloudy Sky, Black and Turquoise. 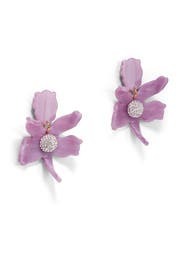 Lilac acetate small lily earring with Czech pave crystal center. Post backs for pierced ears. 2.25" long and 1.75" wide.